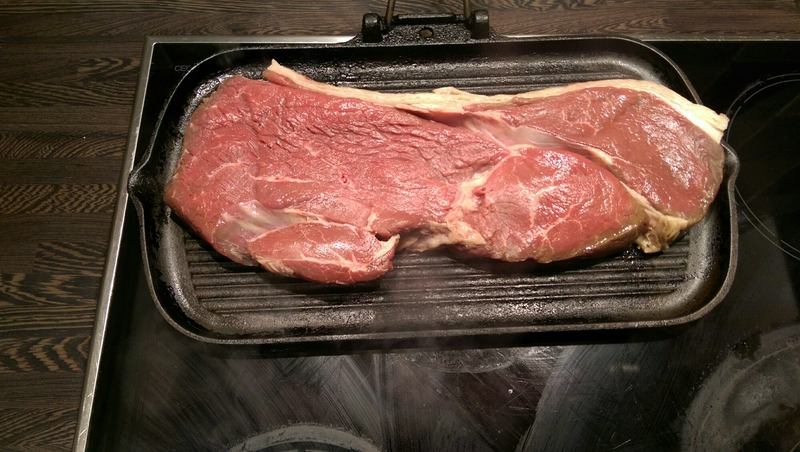 Decent sized rump steaks cook better, are better eating and simply taste better than smaller rump steaks. They retain more juice, you can rest them for longer without them getting cold and they are no more expensive as you buy them £/lb. The leftovers make perfect breakfast or lunch. 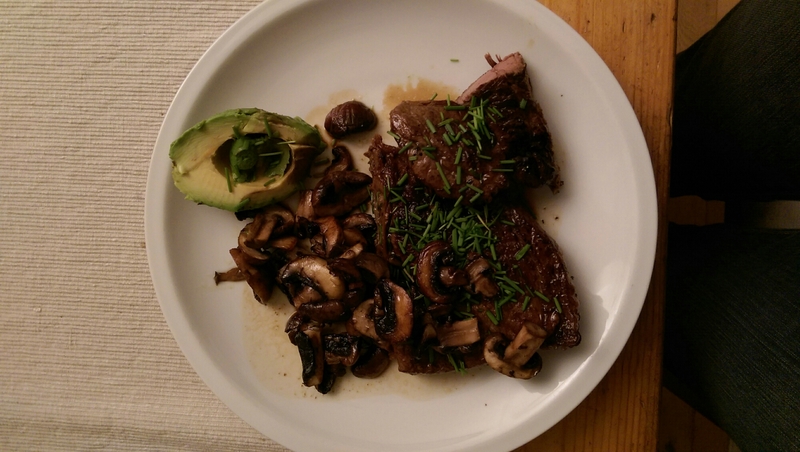 On the plate with mushrooms and avocado. 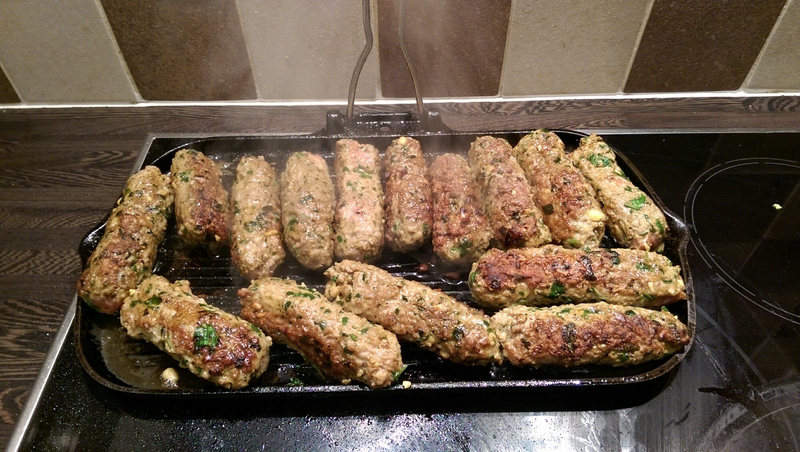 Lamb, corriander, ras el hanout and crushed pine nuts to bind the koftas. Pine nuts are high in omega-6 fatty acid and so I use them sparingly. 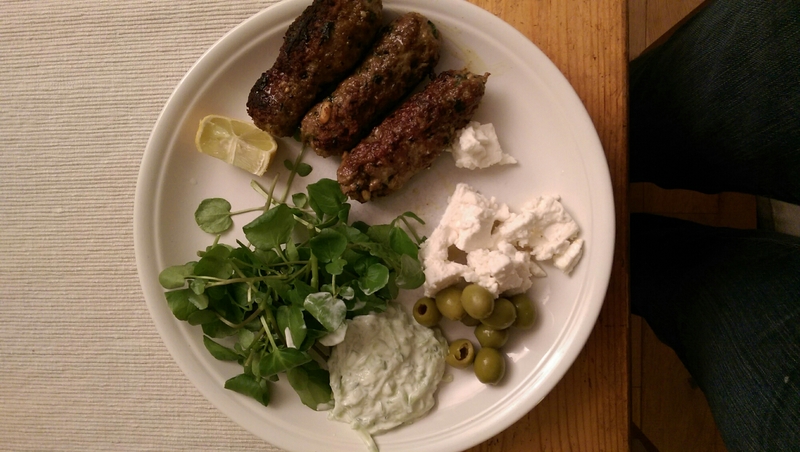 On the plate with feta cheese, olives and a cucumber and yoghurt dressing. I have completed my Whole 30 regime so I am bringing some diary back in to my diet. A last blast of an English winter interspersed with a warm sun and promises of spring just around the corner. 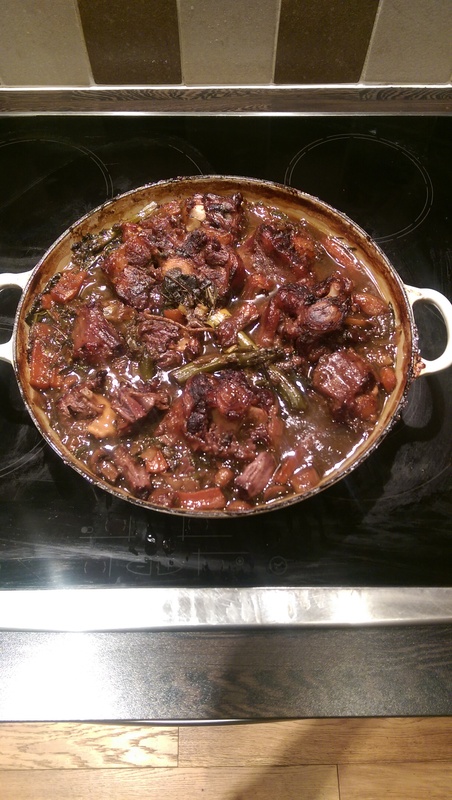 A last chance for a winter stew… oxtail! Here it is ready to go in for its long cooking time of +3hours – the tail has already been roasting hot for 30 minutes. The liquid was bone broth made from the remnants of last week’s rib. And here it is fresh from the oven, delicious, soft, fresh warming and good for you. Now, let’s get spring underway and start cooking outside! 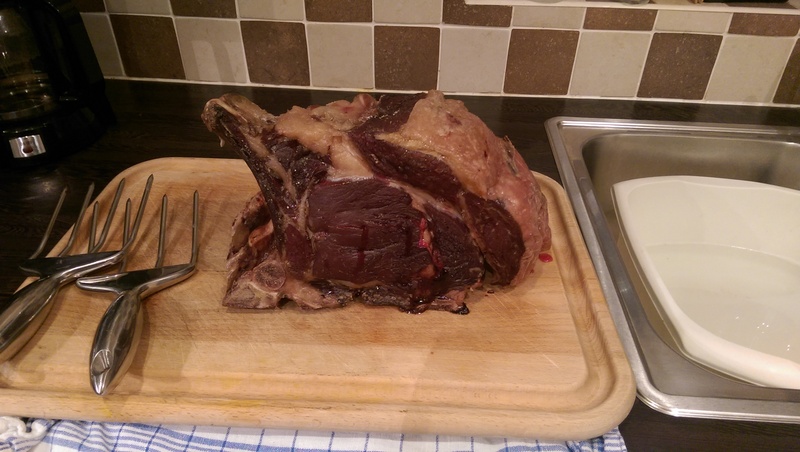 about 3.5kg with an initial cooking time of 6 hours at 65C. Be warned, if you are looking for juice to make gravy you will be disappointed, the meat juice (and the flavour) is all held in the the meat! So just take it to the table with a suitable fanfare and carve. 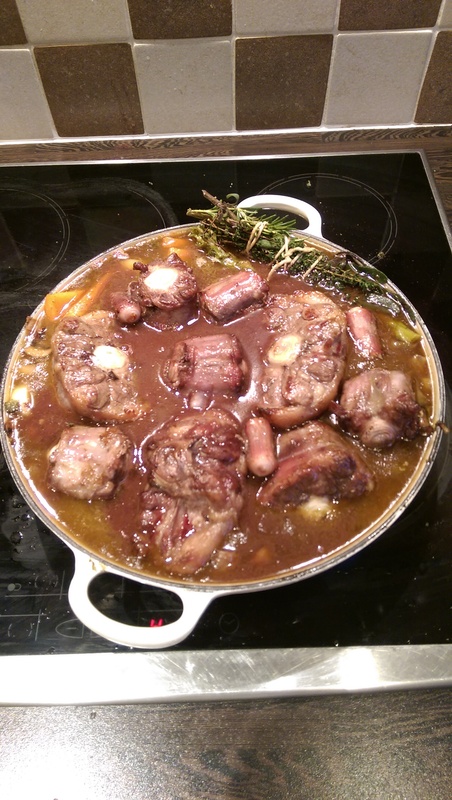 Its going to be rare, of course, so warn the squeamish, but a pure delight to eat. You can cut the beef with the back of your knife. 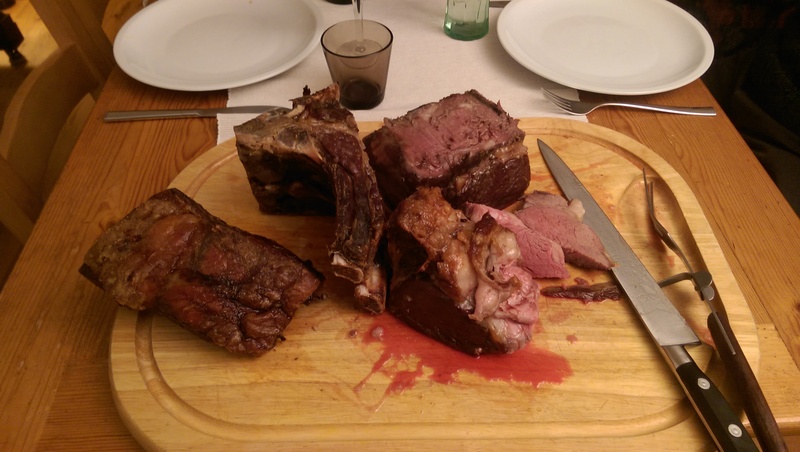 Ultra-low temperature roast beef. 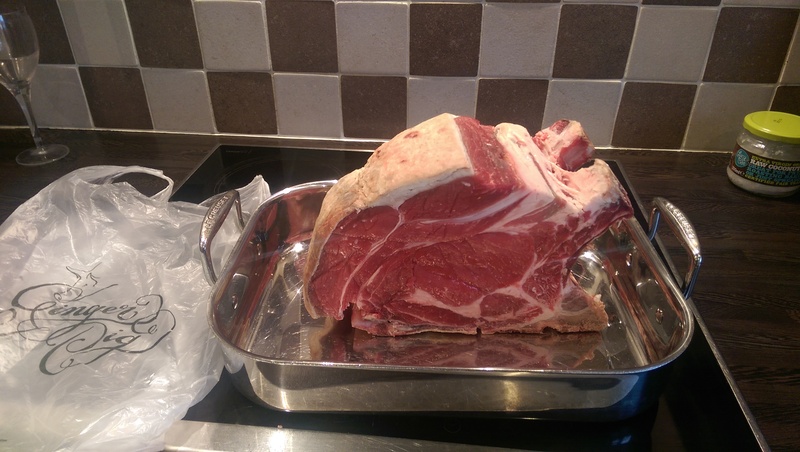 Rib of beef at its very best. LivPrimal! Carrots as they used to be. 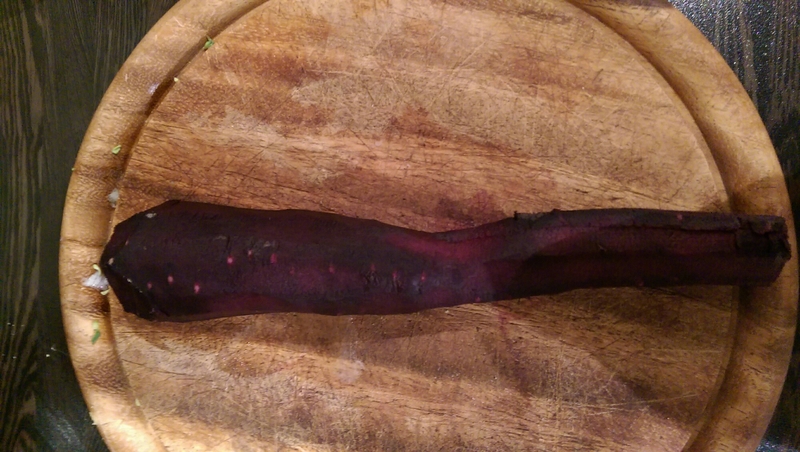 Them as knows say that until the 17th century, all carrots were purple. Its only selective breeding since then that has turned them orange. 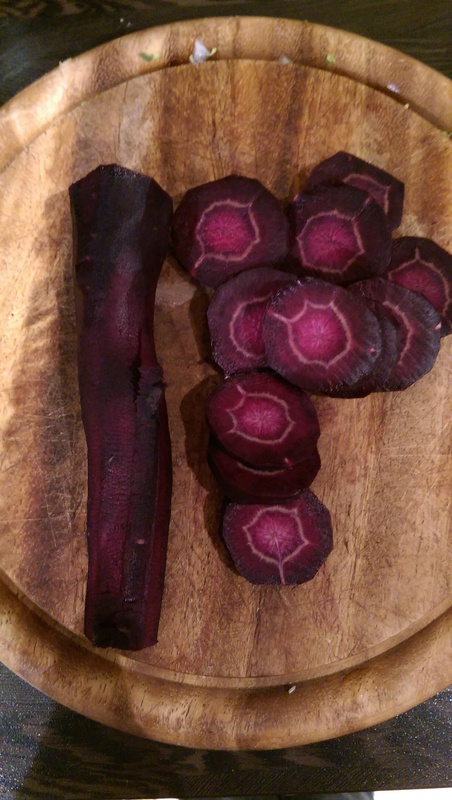 Here is a picture of the purple carrot I bought from Greensmiths in Waterloo, London today. They call it a “heritage variety”. It went in the stir fry and cooked beautifully. It looks pretty too. Greensmiths also has a Ginger Pig butcher in it. 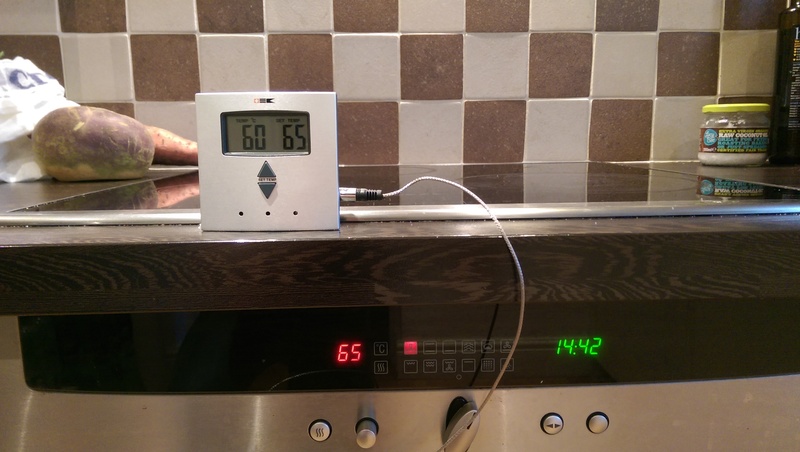 Standby for a report on ultra-low temperature roasting of a Ginger Pig 50-day matured rib of beef!! 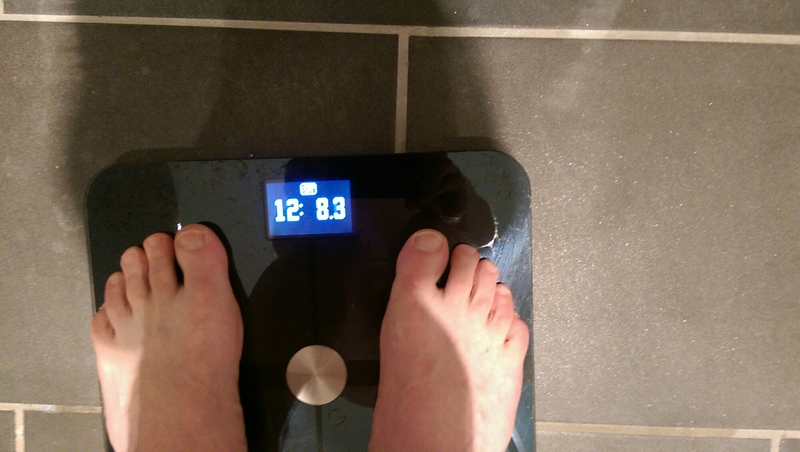 How to lose almost 1lb in 12 hours. Simply burn duck fat overnight as you sleep. Fry off and then gently oven roast duck breasts and use the fat that comes off to stir fry vegetables. I had 2 breasts and kale with pancetta. Enjoy for dinner then burn it, and some extra fat off while you sleep! 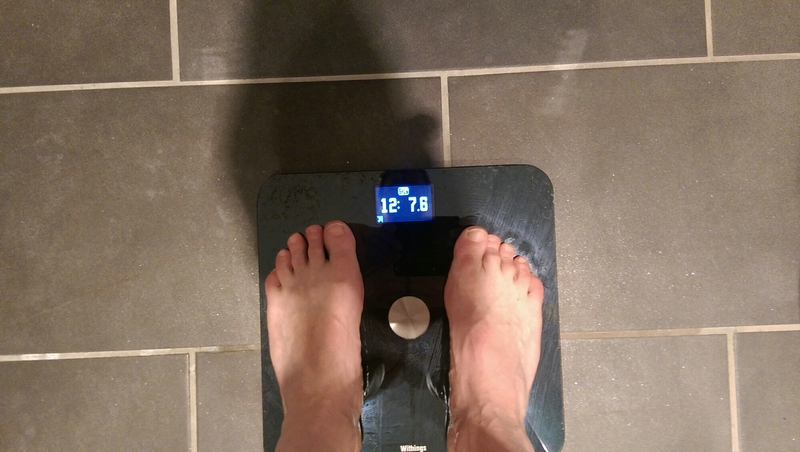 18.30 prior to duck: 12 st 8.3 lbs. 6.30am the following morning: 12st 7.6lbs.